An Inquiry into the Nature and Causes of the Wealth of Nations, generally referred to by its shortened title The Wealth of Nations, is the magnum opus of the Scottish economist and moral philosopher Adam Smith. First published in 1776, the book offers one of the world's first collected descriptions of what builds nations' wealth, and is today a fundamental work in classical economics. By reflecting upon the economics at the beginning of the Industrial Revolution, the book touches upon such broad topics as the division of labour, productivity, and free markets. The Wealth of Nations was published March 9, 1776, during the Scottish Enlightenment and the Scottish Agricultural Revolution. It influenced several authors and economists, such as Karl Marx, as well as governments and organisations, setting the terms for economic debate and discussion for the next century and a half. For example, Alexander Hamilton was influenced in part by The Wealth of Nations to write his Report on Manufactures, in which he argued against many of Smith's policies. Hamilton based much of this report on the ideas of Jean-Baptiste Colbert, and it was, in part, Colbert's ideas that Smith responded to, and criticised, with The Wealth of Nations. The Wealth of Nations was the product of seventeen years of notes and earlier works, as well as an observation of conversation among economists of the time concerning economic and societal conditions during the beginning of the Industrial Revolution, and it took Smith some ten years to produce. The result, An Inquiry to the Wealth of Nations, was a treatise which sought to offer a practical application for reformed economic theory to replace the mercantilist and physiocratic economic theories that were becoming less relevant in the time of industrial progress and innovation. It provided the foundation for economists, politicians, mathematicians, biologists, and thinkers of all fields to build upon. Irrespective of historical influence, The Wealth of Nations represented a clear paradigm shift in the field of economics, comparable to Sir Isaac Newton's Principia Mathematica for physics, Antoine Lavoisier's Traité Élémentaire de Chimie for chemistry, or Charles Darwin's On the Origin of Species for biology. Five editions of The Wealth of Nations were published during Smith's lifetime: in 1776, 1778, 1784, 1786 and 1789. Numerous editions appeared after Smith's death in 1790. To better understand the evolution of the work under Smith's hand, a team led by Edwin Cannan collated the first five editions. The differences were published along with an edited sixth edition in 1904. They found minor but numerous differences (including the addition of many footnotes) between the first and the second editions, both of which were published in two volumes. The differences between the second and third editions, however, are major. 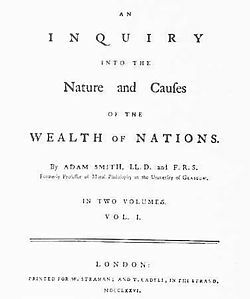 In 1784, Smith annexed these first two editions with the publication of Additions and Corrections to the First and Second Editions of Dr. Adam Smith’s Inquiry into the Nature and Causes of the Wealth of Nations, and he also had published the three-volume third edition of the Wealth of Nations, which incorporated Additions and Corrections and, for the first time, an index. Among other things, the Additions and Corrections included entirely new sections, particularly to Bk 4 Chs 4 & 5, and Bk 5 Ch 1, as well as an additional chapter (8), ‘Conclusion of the Mercantile System’, in Bk 4. The fourth edition, published in 1786, had only slight differences from the third edition, and Smith himself says in the Advertisement at the beginning of the book, "I have made no alterations of any kind." Finally, Cannan notes only trivial differences between the fourth and fifth editions—a set of misprints being removed from the fourth and a different set of misprints being introduced. The first edition of the book sold out in six months. 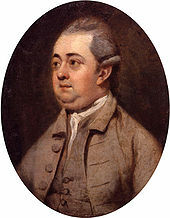 The printer William Strahan wrote on 12 April 1776 that David Hume said The Wealth of Nations required too much thought to be as popular as Edward Gibbon's The History of the Decline and Fall of the Roman Empire. Strahan also wrote: "What you say of Mr. Gibbon's and Dr. Smith's book is exactly just. The former is the most popular work; but the sale of the latter, though not near so rapid, has been more than I could have expected from a work that requires much thought and reflection (qualities that do not abound among modern readers) to peruse to any purpose." Gibbon wrote to Adam Ferguson on 1 April: "What an excellent work is that with which our common friend Mr. Adam Smith has enriched the public! An extensive science in a single book, and the most profound ideas expressed in the most perspicuous language". The review of the book in the Annual Register was probably written by Whig MP Edmund Burke. In 1791 the English radical Thomas Paine wrote in his Rights of Man that "Had Mr. Burke possessed talents similar to the author 'On the Wealth of Nations,' he would have comprehended all the parts which enter into, and, by assemblage, form a constitution." She is our best customer; and by the gentle and peaceable stream of commerce, the treasures of the new world flow with greater certainty into English reservoirs, than it could do by the most successful warfare. They come in this way to support our manufactures, to encourage industry, to feed our poor, to pay taxes, to reward ingenuity, to diffuse riches among all classes of people. But for the full understanding of this beneficial circulation of wealth, we must refer to Dr. Adam Smith's incomparable Treatise on the Wealth of Nations. In 1810, a correspondent writing under the pseudonym of Publicola included at the head of his letter Smith's line that "Exclusive Companies are nuisances in every respect" and called him "that learned writer". In 1812, Robert Southey of the Quarterly Review condemned The Wealth of Nations as a "tedious and hard-hearted book". In 1821, The Times quoted Smith's opinion that the interests of corn dealers and the people were the same. In 1826, the English radical William Cobbett criticised in his Rural Rides the political economists' hostility to the Poor Law: "Well, amidst all this suffering, there is one good thing; the Scotch political economy is blown to the devil, and the Edinburgh Review and Adam Smith along with it". The Liberal statesman William Ewart Gladstone chaired the meeting of the Political Economy Club to celebrate the centenary of the publication of The Wealth of Nations. The Liberal historian Lord Acton believed that The Wealth of Nations gave a "scientific backbone to liberal sentiment" and that it was the "classic English philosophy of history". Smith's biographer John Rae contends that The Wealth of Nations shaped government policy soon after it was published. In 1777, in the first budget after the book was published, Prime Minister Lord North got the idea for two new taxes from the book: one on man-servants and the other on property sold at auction. The budget of 1778 introduced the inhabited house duty and the malt tax, both recommended by Smith. In 1779, Smith was consulted by politicians Henry Dundas and Lord Carlisle on the subject of giving Ireland free trade. 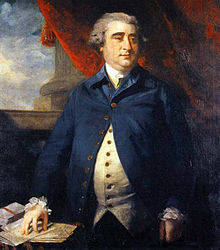 Charles James Fox was the first person to mention The Wealth of Nations in Parliament. There was a maxim laid down in an excellent book upon the Wealth of Nations which had been ridiculed for its simplicity, but which was indisputable as to its truth. In that book it was stated that the only way to become rich was to manage matters so as to make one's income exceed one's expenses. This maxim applied equally to an individual and to a nation. The proper line of conduct therefore was by a well-directed economy to retrench every current expense, and to make as large a saving during the peace as possible. However Fox once told Charles Butler sometime after 1785 that he had never read the book and that "There is something in all these subjects which passes my comprehension; something so wide that I could never embrace them myself nor find any one who did." When Fox was dining with Lord Lauderdale in 1796, Lauderdale remarked that they knew nothing of political economy before Adam Smith wrote. "Pooh," replied Fox, "your Adam Smiths are nothing, but" (he added, turning to the company) "that is his love; we must spare him there." Lauderdale replied: "I think he is everything", to which Fox rejoined: "That is a great proof of your affection". Fox also found Adam Smith "tedious" and believed that one half of The Wealth of Nations could be "omitted with much benefit to the subject". The Wealth of Nations was next mentioned in Parliament by Robert Thornton MP in 1787 to support the Commercial Treaty with France. In the same year George Dempster MP referenced it in the debate on the proposal to farm the post-horse duties and in 1788 by a Mr. Hussy on the Wool Exportation Bill. The prime minister, William Pitt, praised Smith in the House of Commons on 17 February 1792: "…an author of our own times now unfortunately no more (I mean the author of a celebrated treatise on the Wealth of Nations), whose extensive knowledge of detail, and depth of philosophical research will, I believe, furnish the best solution to every question connected with the history of commerce, or with the systems of political economy." In the same year it was quoted by Samuel Whitbread MP and Fox (on the division of labour) in the debate on the armament against Russia and also by William Wilberforce in introducing his Bill against the slave trade. The book was not mentioned in the House of Lords until a debate in 1793 between Lord Lansdowne and Lord Loughborough about revolutionary principles in France. On 16 May 1797, Pitt said in the debate on the suspension of cash payments by the Bank of England that Smith was "that great author" but his arguments, "though always ingenious", were "sometimes injudicious". In 1798, Sir John Mitford, the Solicitor-General, cited the book in his criticism of bills of exchange given in consideration of other bills. There was hardly any kind of property on which the law did not impose some restraints and regulations with regard to the sale of them, except that of provisions. This was probably done on the principles laid down by a celebrated and able writer, Doctor Adam Smith, who had maintained that every thing ought to be left to its own level. He knew something of that Gentleman, whose heart he knew was as sound as his head; and he was sure that had he lived to this day and beheld the novel state of wretchedness to which the country was now reduced ...; that Great Man would have reason to blush for some of the doctrines he had laid down. He would now have abundant opportunities of observing that all those artificial means of enhancing the price of provisions, which he had considered as no way mischievous, were practised at this time to a most alarming extent. He would see the Farmer keeping up his produce while the poor were labouring under all the miseries of want, and he would see Forestallers, Regraters, and all kinds of Middle-men making large profits upon it. [W]hen that great man lived, ... his book was first published at a period, previous to which there had been two or three seasons of great dearth and distress; and during those seasons there were speculators without number, who ... proposed that a certain price should be fixed on every article: but all their plans were wisely rejected, and the Treatise on the Wealth of Nations, which came forward soon after, pointed out in the clearest light how absurd and futile they must have been. The Radical MP Richard Cobden studied The Wealth of Nations as a young man; his copy is still in the library of his home at Dunford House and there are lively marginal notes on the places where Smith condemns British colonial policy. There are none on the passage about the invisible hand. Cobden campaigned for free trade in his agitation against the Corn Laws. In 1843, Cobden quoted Smith's protest against the "plain violation of the most sacred property" of every man derived from his labour. In 1844, he cited Smith's opposition to slave labour and claimed that Smith had been misrepresented by protectionists as a monopolist. In 1849 Cobden claimed that he had "gone through the length and breadth of this country, with Adam Smith in my hand, to advocate the principles of Free Trade." He also said he had tried "to popularise to the people of this country, and of the Continent, those arguments with which Adam Smith ... and every man who has written on this subject, have demonstrated the funding system to be injurious to mankind." 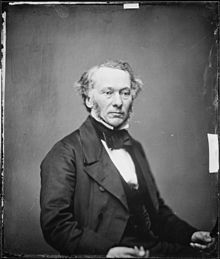 Cobden believed it to be morally wrong to lend money to be spent on war. In 1849, when The Times claimed political economists were against Cobden on this, Cobden wrote: "I can quote Adam Smith whose authority is without appeal now in intellectual circles, it gives one the basis of science upon which to raise appeals to the moral feelings." In 1850, when the Russian government attempted to raise a loan to cover the deficit brought about by its war against Hungary, Cobden said: "I take my stand on one of the strongest grounds in stating that Adam Smith and other great authorities on political economy are opposed to the very principle of such loans." In 1863, during Cobden's dispute with The Times over its claims that his fellow Radical John Bright wanted to divide the land of the rich amongst the poor, Cobden read to a friend the passage in the Wealth of Nations which criticized primogeniture and entail. Cobden said that if Bright had been as plain-speaking as Smith, "how he would have been branded as an incendiary and Socialist". In 1864, Cobden proclaimed, "If I were five-and-twenty or thirty, ... I would take Adam Smith in hand, and I would have a League for free trade in Land just as we had a League for free trade in Corn. You will find just the same authority in Adam Smith for the one as for the other." After the British took control over occupied French North America in the Seven Years' War, Charles Townshend suggested that the American colonists provide help to pay for the war debt by paying an additional tax on tea. During this time, Adam Smith was working for Townshend and developed a relationship with Benjamin Franklin, who played a vital role in the United States' independence three months after Smith's The Wealth of Nations book was released. James Madison, in a speech given in Congress on 2 February 1791, cited The Wealth of Nations in opposing a national bank: "The principal disadvantages consisted in, 1st. banishing the precious metals, by substituting another medium to perform their office: This effect was inevitable. It was admitted by the most enlightened patrons of banks, particularly by Smith on the Wealth of Nations." Thomas Jefferson, writing to John Norvell on 14 June 1807, claimed that on "the subjects of money & commerce, Smith's Wealth of Nations is the best book to be read, unless Say's Political Economy can be had, which treats the same subject on the same principles, but in a shorter compass & more lucid manner." With 36,331 citations, it is the second most cited book in the social sciences published before 1950, behind Karl Marx's Das Kapital. 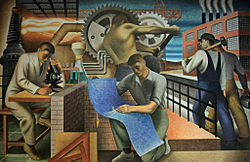 Bustling with work and activity, "The Wealth of the Nation" by Seymour Fogel is an interpretation of the theme of Social Security. George Stigler attributes to Smith "the most important substantive proposition in all of economics" and foundation of resource-allocation theory. It is that, under competition, owners of resources (labour, land, and capital) will use them most profitably, resulting in an equal rate of return in equilibrium for all uses (adjusted for apparent differences arising from such factors as training, trust, hardship, and unemployment). He also describes Smith's theorem that "the division of labour is limited by the extent of the market" as the "core of a theory of the functions of firm and industry" and a "fundamental principle of economic organisation." Paul Samuelson finds in Smith's pluralist use of supply and demand—as applied to wages, rents, and profit—a valid and valuable anticipation of the general equilibrium modelling of Walras a century later. Moreover, Smith's allowance for wage increases in the short and intermediate term from capital accumulation and invention added a realism missed later by Malthus, Ricardo, and Marx in their propounding a rigid subsistence-wage theory of labour supply. If any of the provinces of the British empire cannot be made to contribute towards the support of the whole empire, it is surely time that Great Britain should free herself from the expence of defending those provinces in time of war, and of supporting any part of their civil or military establishments in time of peace, and endeavour to accommodate her future views and designs to the real mediocrity of her circumstances. Ronald Coase suggests that if Smith's earlier proposal of granting colonies representation in the British parliament proportional to their contributions to public revenues had been followed, "there would have been no 1776, … America would now be ruling England, and we [in America] would be today celebrating Adam Smith not simply as the author of the Wealth of Nations, but hailing him as a founding father." Mark Blaug argues that it was Smith's achievement to shift the burden of proof against those maintaining that the pursuit of self-interest does not achieve social good. But he notes Smith's relevant attention to definite institutional arrangements and process as disciplining self-interest to widen the scope of the market, accumulate capital, and grow income. Economic anthropologist David Graeber argues that throughout antiquity, one can identify many different systems of credit and later monetary exchange, drawing evidence for his argument from historical and also ethnographical records, that the traditional explanation for the origins of monetary economies from primitive bartering systems, as laid out by Adam Smith, does not find empirical support. The author argues that credit systems developed as means of account long before the advent of coinage around 600 BCE, and can still be seen operating in non-monetary economies. The idea of barter, on the other hand, seems only to apply to limited exchanges between societies that had infrequent contact and often in a context of ritualised warfare, rendering its conceptualisation among economists as a myth. As an alternative explanation for the creation of economic life, the author suggests that it originally related to social currencies, closely related to non-market quotidian interactions among a community and based on the "everyday communism" that is based on mutual expectations and responsibilities among individuals. This type of economy is, then, contrasted with the moral foundations of exchange based on formal equality and reciprocity (but not necessarily leading to market relations) and hierarchy, based on clear inequalities that tend to crystallise in customs and castes. The National Gain, a pamphlet by Finnish–Swedish economist and politician Anders Chydenius which preceded The Wealth of Nations and which had similar ideas. ^ O'Rourke, P. J. ""On 'The Wealth of Nations.'"" New York Times. 7 January 2007. 18 October 2018. ^ Sutherland, Kathryn (2008) . "Note on the Text". An Inquiry into the Nature and Causes of the Wealth of Nations: A Selected Edition. By Smith, Adam. Oxford University Press. p. 31. ISBN 978-0191504280. ^ An Inquiry into the Nature and Causes of the Wealth of Nations, by Adam Smith. London: Methuen and Co., Ltd., ed. Edwin Cannan, 1904. Fifth edition. ^ Smith, Adam. "An Inquiry Into the Nature and Causes of the Wealth of Nations ..., Volume 1." Google Books. 18 October 2018. ^ John Rae, Life of Adam Smith (London: Macmillan & Co., 1895), p. 285. ^ Paine, Thomas (1995). Rights of Man, Common Sense, and Other Political Writings. Oxford University Press. p. 126. ISBN 978-0199538003. ^ a b J. J. Sack, From Jacobite to Conservative. Reaction and orthodoxy in Britain, c. 1760–1832 (Cambridge University Press, 2004), p. 182. ^ The Times (25 October 1803), p. 2. ^ The Times (8 February 1810), p. 2. ^ The Times (17 September 1821), p. 2. ^ William Cobbett, Rural Rides (Penguin, 2001), p. 335. ^ H. C. G. Matthew, Gladstone. 1875–1898 (Oxford University Press, 1995), p. 20. ^ G. E. Fasnacht, Acton's Political Philosophy. An Analysis (London: Hollis and Carter, 1952), p. 145. ^ a b Rae, p. 294. ^ a b Rae, p. 290. ^ a b Rae, p. 289. ^ L. G. Mitchell, Charles James Fox (Penguin, 1997), p. 185. ^ John Ehrman, The Younger Pitt. The Years of Acclaim (London: Constable, 1969), p. 267, n. 1. ^ John Ehrman, The Younger Pitt. The Consuming Struggle (London: Constable, 1996), p. 12. ^ The Times (24 December 1798), p. 4. ^ a b The Times (6 December 1800), p. 2. ^ William D. Grampp, The Manchester School of Economics (London: Oxford University Press, 1960), p. 103. ^ John Bright and J. E. Thorold Rogers (eds. ), Speeches on Questions of Public Policy by Richard Cobden, M.P. Volume I (London: T. Fisher Unwin, 1908), p. 45. ^ Bright and Thorold Rogers, Volume I, p. 92. ^ Bright and Thorold Rogers, Volume I, pp. 104–05. ^ John Bright and J. E. Thorold Rogers (eds. ), Speeches on Questions of Public Policy by Richard Cobden, M.P. Volume II (London: T. Fisher Unwin, 1908), pp. 399–400. ^ Wendy Hinde, Richard Cobden. A Victorian Outsider (Yale University Press, 1987), p. 204. ^ Bright and Thorold Rogers, Volume II, p. 406. ^ Donald Read, Cobden and Bright. A Victorian Political Partnership (Edward Arnold, 1967), p. 189. ^ Bright and Thorold Rogers, Volume II, p. 493. ^ Costly, Andrew. "BRIA 23 1 a Adam Smith and The Wealth of Nations". crf-usa.org. Constitutional Rights Foundations. Retrieved 1 December 2018. ^ James Madison, Writings (The Library of America, 1999), p. 481. ^ Thomas Jefferson, Writings (The Library of America, 1984), p. 1176. ^ Green, Elliott (12 May 2016). "What are the most-cited publications in the social sciences (according to Google Scholar)?". LSE Impact Blog. London School of Economics. ^ George J. Stigler (1976). "The Successes and Failures of Professor Smith," Journal of Political Economy, 84(6), p. 1202 (pp. 1199–1213). Also published as Selected Papers, No. 50 (PDF), Graduate School of Business, University of Chicago. ^ George J. Stigler, 1951. "The Division of Labor Is Limited by the Extent of the Market." Journal of Political Economy, 59(3), pp. 185, 193. Reprinted in J.M. Buchanan and Y.J. Yoon, ed., 1994, The Return to Increasing Returns, pp. 47, 58. ^ Paul A. Samuelson (1977). "A Modern Theorist's Vindication of Adam Smith," American Economic Review, 67(1), p. 42. Reprinted in J.C. Wood, ed., Adam Smith: Critical Assessments, pp. 498–509. Preview. ^ Smith (1776). Bk. V: Of the Revenue of the Sovereign or Commonwealth, ch. 3 of Public Debts, para. 92. ^ R. H. Coase (1977). "The Wealth of Nations," Economic Inquiry 15(3), pp. 323–25 (309–25 Archived 14 May 2013 at the Wayback Machine). Press + button or Ctrl+. ^ Mark Blaug (1997). Economic Theory in Retrospect, 5th ed., in ch. 2, sect. 19, "Adam Smith as an Economist, pp. 59–62. ^ Graeber, David (2010). Debt: the first 5,000 years. Brooklyn, NY: Melville House. ISBN 978-1933633862. ^ a b Johnson, David V. (February 15, 2012). "What We Owe to Each Other An Interview with David Graeber, Part 1". Boston Review. Retrieved February 20, 2012. An Inquiry into the Nature and Causes of the Wealth of Nations: A Selected Edition Adam Smith (Author), Kathryn Sutherland (Editor), 2008, Oxford Paperbacks, Oxford. ISBN 978-0199535927. Wikimedia Commons has media related to The Wealth of Nations. This page was last edited on 6 April 2019, at 21:53 (UTC).